If you have medical problems which prevent you from working, you may be entitled to monthly Social Security disability benefits. Attorneys David Hankus and Rachel Pinch concentrate in representing claimants throughout Michigan in claims for Social Security Disability Benefits and Supplemental Security Income. 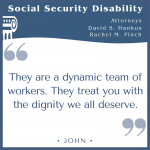 The onset of a disability which prevents work is a devastating event. Claimants filing for Social Security Disability Benefits must not only battle significant medical problems but must also cope with a sudden and often unexpected loss of income. Claimants are easily overwhelmed by the Social Security disability process. 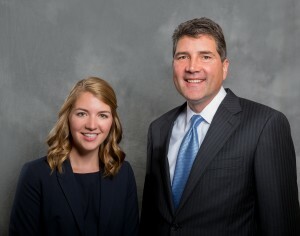 Mr. Hankus and Ms. Pinch recognize and appreciate the difficulties suffered by their clients. They pride themselves in delivering personalized attention to each client, insuring that each of their clients is diligently and vigorously represented. 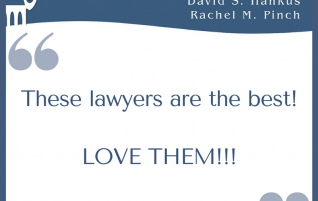 Excellent Attorney and Rachel to work with! Awesome service and very nice people. They worked really hard for me!!! Thanks to David & Rachel......You both Rock!! 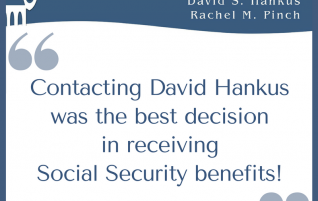 I am so glad I contacted the Office of David Hankus. They did a fantastic job of representing me in my case for disability. The whole staff is very caring and understanding when you work with them. They are always willing to answer any questions you have and they work hard to win your case. 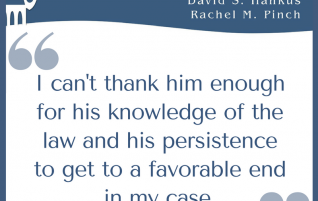 Thank you for helping me win my case! Highly recommended, he not only won my case but also got my full benefits going all the way back to when i broke my back. 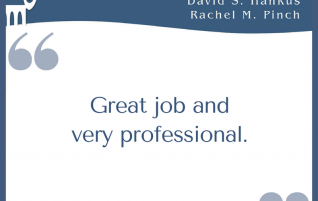 Great job and very professional man and I barely had to lift a finger. Mr. Hankus and his team handled everything. Thanks again Mr. Hankus. 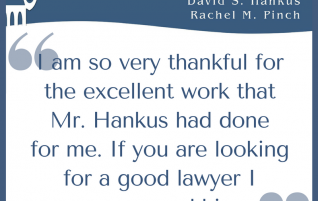 I am so very thankful for the excellent work that Mr. Hankus had done for me. Very excited and pleased that I won my case with his help. 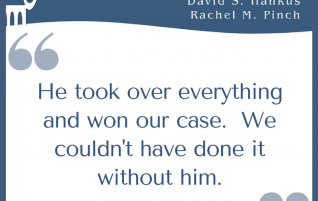 I wouldn't have won my case without him. If you are looking for a good lawyer I recommend him. David Hankus has been the best attorney I had worked with. 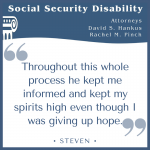 I was a child on disability that aged out and was cut off. When I reapplied at 18 they denied me. Not knowing what to do, I just let it go until I was 22. 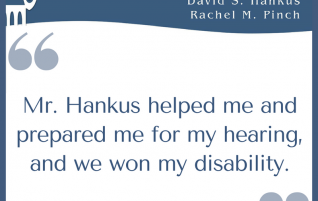 When I found Mr. Hankus at 22 after I had been denied benefits again, he took my case and not only did he win, but he got them to back pay until I was 18. What an awesome job! I'm still giving referrals for him today, 10 years later! I highly recommend Attorney Hankus; he and his staff guided me through the process of filing for disability from the first step to the last. Attorney Hankus and Kay were very helpful in keeping me up to date with the process every step of the way. 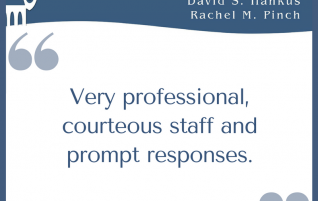 Everyone was very professional and courteous. If you are filing for disability, this is the team you want to guide you through the process. They know what they are doing and they are honest. 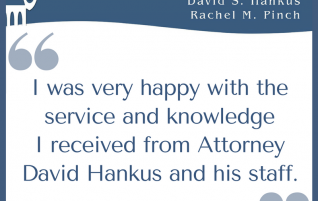 Hankus law office is just great! After a long process, which they guided me through expertly, Hankus won my case! 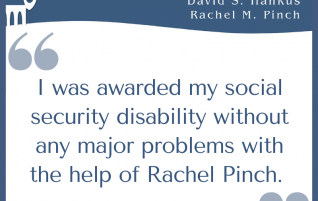 Very professional and Rachel was also very compassionate while she eased me through each step. If you have a disability claim, Hankus is your best option! Very professional. 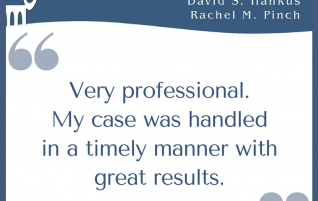 My case was handled in a timely manner with great results. I would recommend him to anyone. After being denied, I contacted David Hankus and he filed my appeal, he collected all the necessary medical records and really just did everything for me.... all I had to do was show up at the hearing, and he won my case for me.... I am very grateful to Mr. Hankus for all he has done and highly recommend him to anyone needing help with social security claims. 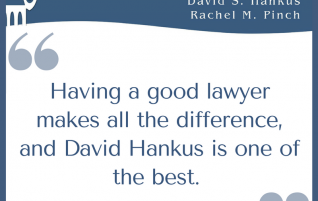 a good lawyer makes all the difference, and David Hankus is one of the best. Won first time. Thanks for the help. Contacting David Hankus was the best decision in receiving Social Security benefits! Everyone else gave me the run-around, filling out papers over and over. 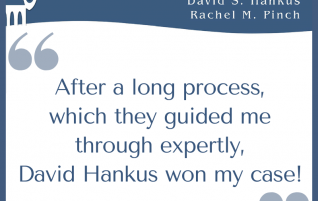 When finally, I was referred to David Hankus and he did all the work for me! Best of all, I didn't have to pay anything before he won my case! I would highly recommend Mr. Hankus, Kay and Rachel to help you thru this process very helpful and easy to communicate with. Thank You again. If you’re looking for a good lawyer to help you with social security benefits David S. Hankus did a great job for me his office did all the leg work and were there for me really did a good job. 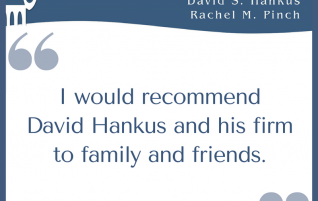 I am happy to write a review for the legal office of David S. Hankus. He has helped to guide me thru the legal complexities of applying for Social Security Disability and he and his office have been nothing but professional and understanding despite all of my many questions and concerns. 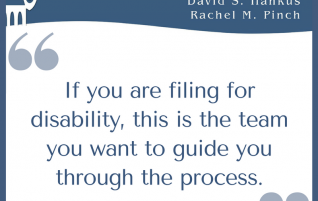 I highly recommend anyone filing for Disability to contact them. John and I Want To Invite All Our Friends And Family To Use This Lawyer and His Team If Ever You Are Applying or Thinking Of Applying For Social Security. They Are A Dynamic Team Of Workers. They Treat You With The Dignity We All Deserve. 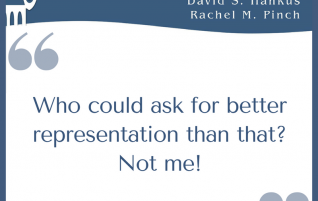 Each Time I Have Called Or Had A Question They Were Always Willing To Help. Please Do not Hesitate To Use Them. John and I Want To Invite All Our Friends And Family To Use This Lawyer and His Team If Ever You Are Applying or Thinking Of Applying For Social Security. They Are A Dynamic Team Of Workers. They Treat You With The Dignity We All Deserve. 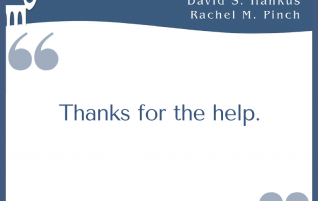 Each Time I Have Called Or Had A Question They Were Always Willing To Help. Please Do not Hesitate To Use Them. Mr. Hankus with his expertise has once again succeeded by winning my disability case. His exemplary representation surpasses all others. He is knowledgeable and professional. 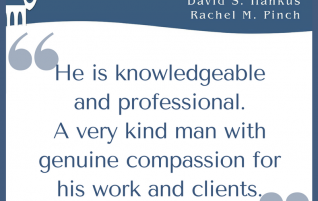 A very kind man with genuine compassion for his work and clients. I knew of his reputation and that he was "The Attorney" to hire. His track record speaks volumes in its success rate. I couldn't be happier with the entirety of my representation!!! I couldn't be more emphatic in recommending his services to this population. He has exceeded my expectations . I am quite impressed by his knowledge and abilities. 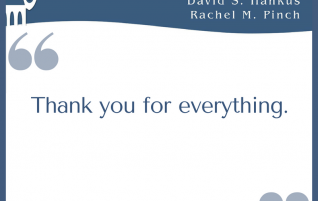 My heartfelt thanks to Mr. Hankus and his very helpful paralegal Kay. Thank you, thank you, thank you!!!!!!!!!!! Mr. Hankus was extremely helpful in getting my Social Security disability approved. 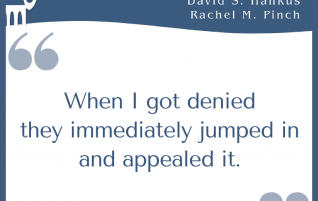 I was denied benefits when I applied. 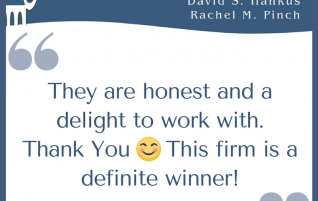 I contacted Mr. Hankus based on a referral of a friend. He agreed to represent me and handled all the paperwork in filing for an appeal. He represented me at my hearing and I was successful in getting my benefits thanks to Mr. Hankus. 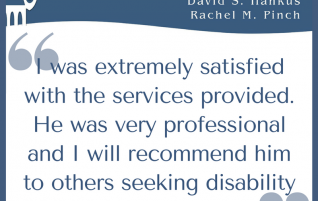 I was extremely satisfied with the services provided. He was very professional and I will recommend him to others seeking disability from Social Security. He did a great job helping me get my disability, my thanks for all his help. 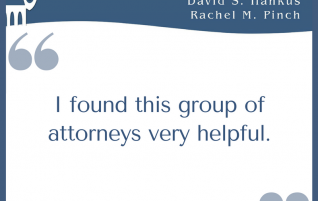 I found this group of attorneys very helpful. Their sincere footprints are encouraging. I was awarded my social security disability without any major problems with the help of Rachel Pinch part of the staff at David S. Hankus law office. Looking for a Social Security Disability Attorney is a stressful experience. I researched attorneys. I called several of the big names (you know, the ones who advertise twenty-four seven?). All I received from those calls was a headache with a large side of frustration. 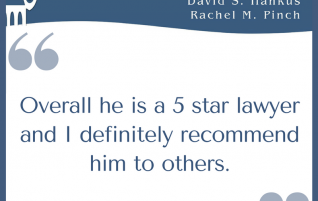 Finally, when I was at my wits end, I found a review for the Law Offices of David Hankus. 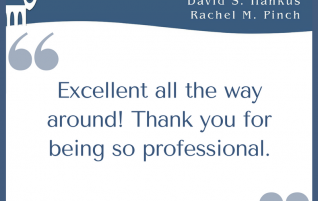 "Friendly...compassionate...professional....understanding...." Crossing my fingers I dialed the number. Rachel Pinch, another attorney at the firm, answered the phone. 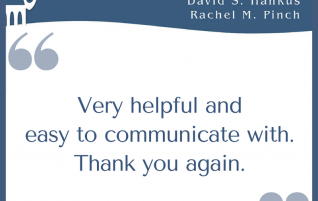 Her friendly voice, calm spirit and professionalism impressed me. She listened and was very empathetic. Her response was soothing and just what I needed. Following our conversation I didn't hesitate. I hired her and it was the best decision I ever made. Negotiating the system takes time and patience. There is no quick fix. The average wait for a court date in Michigan is 12 to 24 months (no matter who you are or who you hire). 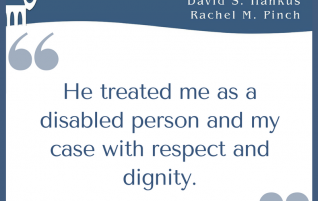 Therefore, you'll need someone who will treat you with dignity and respect no matter how many questions you ask. No matter how nervous you become. Or, how impatient you feel. When we went to court, the judge was impressed with how organized and professional Rachel was. He was quick to note she had everything ready for his review BEFORE the court date (something he stated NEVER happens). Who could ask for better representation than that? Not me! She dotted her i's and crossed her t's. Without a doubt her due diligence won me my case. She also won my respect, as well as the judges! Thank you for everything your office had done. 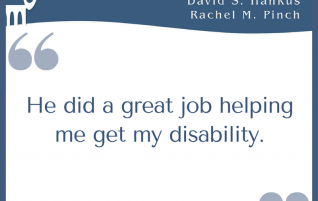 Finally have my disability approval. After a very long, hard fought battle, Mr. Hankus won my case. 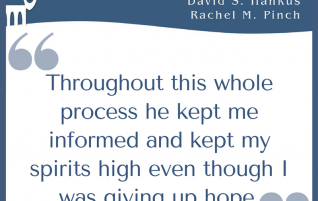 He ensured I understood every step of the process and thoroughly explained all options as they arose. Even after the decision finally went in our favor, he has continued to keep me informed of the procedure following a decision. I would highly recommend him to anyone who is entitled to disability and feels as though the system is against them. 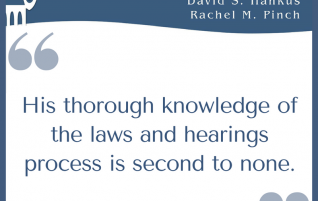 His thorough knowledge of the laws and hearings process is second to none.